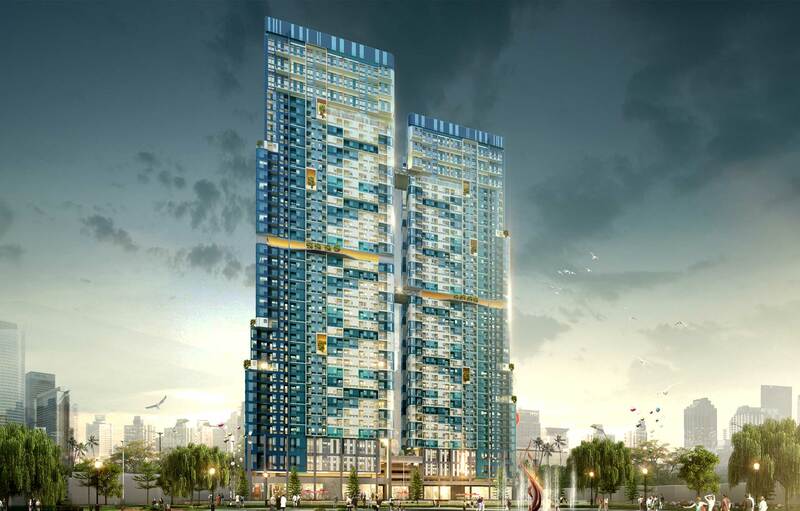 The Project W Towers at Surabaya, is a high-rise mixed development that consists of five towers which includes mid-end & high-end apartments, commercial, and office. The design concept and façade inspired by the raindrops; it can be seen by pixelated textures of towers gradually drops into its podium; as hope pours on its milleu.Located on a prominently visible location on under develop area make its tower distinguished from surroundings. The concept of the 40 storeys high tower is simple but extraordinarily effective: making optimal use of the client’s wishes, the site’s potential, the local building code and the fantastic views of Surabaya. Development area was an agriculture area, but now has risen into housing and commercial development, Project W as pioneer. The proposal integrates the neighboring area, including entrances and thresholds, taking advantage of the synergies present in the area and fostering their spatial relationships; communal magnet for healthy and modern lifestyle. The building’s dramatic facade was conceived to successfully include additional trademark of the towers, while the required setbacks were incorporated into the composition, allowing the top level apartment units to enjoy access to terraces. With pocket gardens for every 5 level, creates astonishing harmony of green element. It shall set the new benchmark in the Surabaya area for self-contained live/work/play environments.